Order your mobile website now! Optimize your website for your mobile customer! 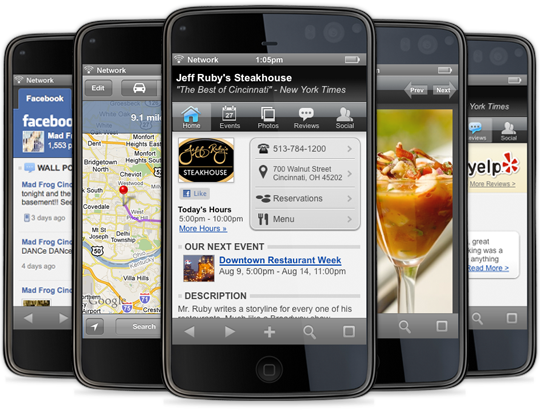 Get a mobile app website with menu's, slideshow images, and direct call at the click of one button. Your customers will be able to automatic click to call you or text SMS their information to you. The m.site works on major smartphones including iPhone, Andriod, Blackberry, and Windows mobile phones. The m.site application automatically loads when it detects your customer is on a mobile phone. It makes contacting you easier and makes the organization of your website information better for mobile users. 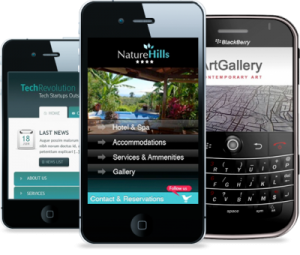 Sync your mobile website with your regular website every time a change is made. Its automatic and perfect when you add new special or need to change important information.